Everyone has a profile on LinkedIn. If you’re a serious entrepreneur, it’s imperative. The platform is also a vital one for serious podcasters. It can be your most powerful tool when it comes to increasing your podcast subscribers. It can also be the best asset you have in wooing interesting and engaging guests to your podcast. 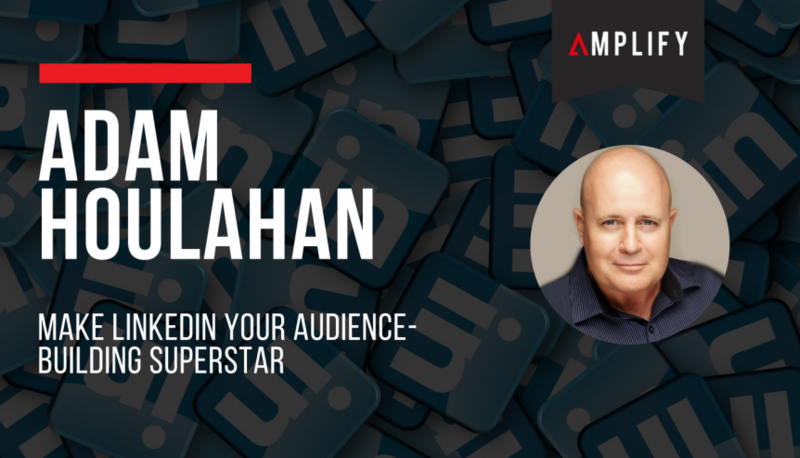 On a recent episode of Should I Start a Podcast, we shared LinkedIn maestro Adam Houlahan’s keynote speech from We Are Podcast 2015. In it, he shared with us some incredible approaches that can build the audience for your podcast in ways you probably haven’t thought of, and in this article I’m sharing with you three of the highlights. It should come as no surprise that one of the best ways to increase your engagement on LinkedIn, and therefore your audience, is through your image. We aren’t talking about your brand here, instead we’re talking about the image you use as your profile picture. Adam said on the podcast that you’re 11 times more likely to have your profile viewed if you have a great picture. Taking the time to have a clear, professional photo that allows people to see your eyes is essential when selecting the right one for your profile. The next most powerful element that you need to optimise for your LinkedIn profile is your headline. This is the second thing that people searching through LinkedIn see, after your image of course. You want to make sure that it clearly and directly describes what you do. This is also an important section for keywords to appear, so make sure you choose the most relevant words and phrases. You have a limit of 120 characters, so take the time to brainstorm the best options. The third area that you can use to really take advantage of LinkedIn is the summary of your profile. When deciding on the best approach here, Adam shared some useful tips. Making sure that you write in first person and that you focus on the people viewing your profile works best. Take the time to figure out what the problems are that your audience has and make sure that you answer those in your summary. When looking at building your podcast platform, think about what listeners would want to hear about to subscribe to your podcast and make sure that’s covered. By taking the time to really think about what your LinkedIn profile looks like to other people, the better positioned you will be to leverage this incredible social media platform. As with all social media approaches, there’s no one size fits all approach, and making sure you monitor and change your profile in response to what works is a fantastic way to take advantage of the platform to best serve your outcomes. Listen to my entire conversation with Adam Houlahan here.